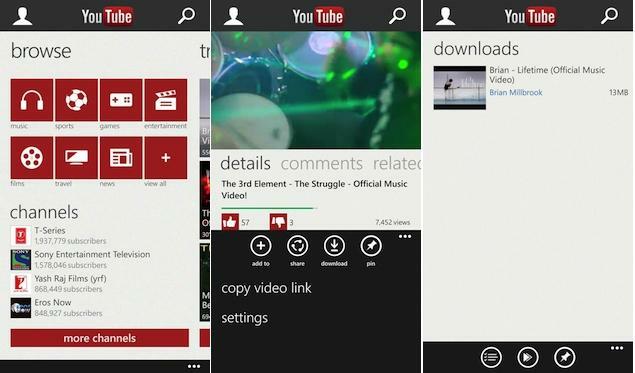 In collaboration with Microsoft, Google is developing a new YouTube application for Windows Phone that will, among other things, enable ads. According to a report from TheVerge, the two have resolved their differences after publicly fighting over Microsoft's unauthorized YouTube app, which Google attempted to get pulled from the Windows Phone Store. Microsoft instead addressed the app with an update as a compromise, but that further dirtied the issue. "Microsoft and YouTube are working together to update the new YouTube for Windows Phone app to enable compliance with YouTube's API terms of service, including enabling ads, in the coming weeks," Google said. Microsoft previously said it was more than happy to update the app with ads, so long as Google provided access to an official API. With Google now playing ball, it appears Windows Phone users will get an experience akin to what's available on Android or iOS. Microsoft and Google have been at odds over the situation for weeks, and finally the petty dispute can come to a rest. As development gets underway, Google said Microsoft will pull the existing YouTube app from the Windows Phone Store and replace it with a previous version. Google hasn't been shy about its decision not to develop an app for Windows Phone, but Microsoft's dissent obviously changed that tune.